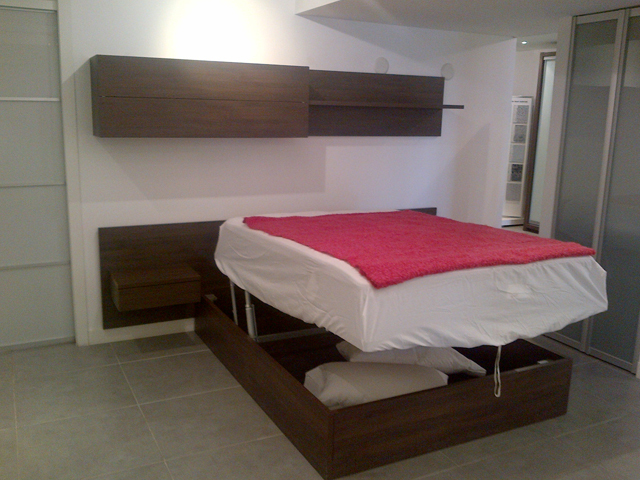 Storage beds from Komandor are an excellent choice for customers who are looking for additional storage but don’t want to use up valuable closet or wardrobe space. 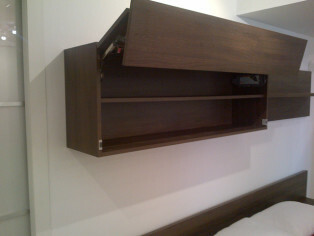 The cabinet beneath the storage bed is ideal for storing off season items, bedding or other bulky items. The slatted frame performs the same function as a box spring in a traditional bed set up and Komandor storage beds can accommodate single, double, queen and king size mattresses (supplied by customer). Lift the storage bed frame at the foot of the bed and it opens to reveal a large storage cabinet. When you close the mechanism, it will lock into the intermediate horizontal position. in this position, this innovative system allows you to change your bedding and avoid back pain as the mattress is at a more comfortable height. 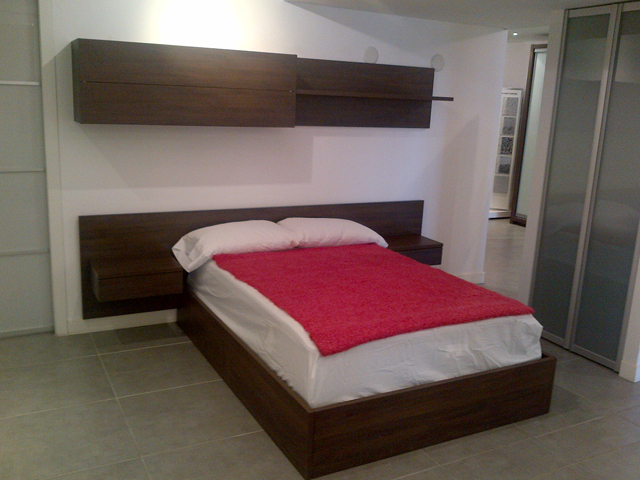 Push on the storage bed frame and it will gently close into the closed position. 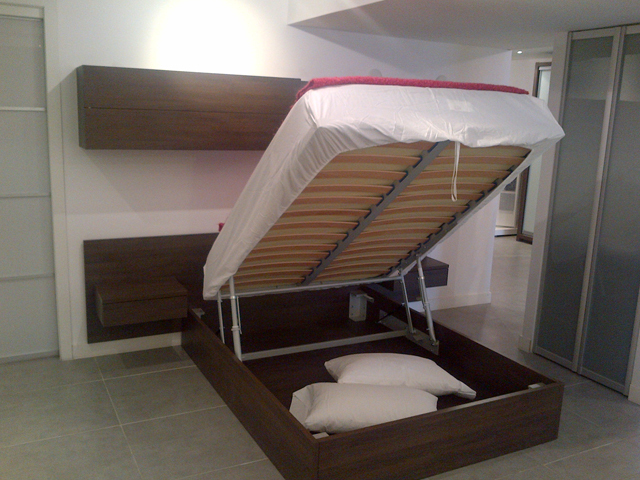 This particular storage bed was designed with a contemporary style. Komandor’s Palermo Dark Oak finish was chosen and works well with the white painted walls and grey tile floor in the space. The floating headboard and night tables, upper cabinet storage and floating shelf really help to create a unified design. 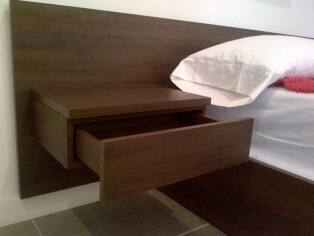 While bed sizes are limited to single, double, queen and king, custom cabinetry can be designed in just about any configuration. custom wall to wall, floor to ceiling surrounds can be made to maximize your space’s storage potential. Please Contact Us if you are interested in our storage beds or would like more information on other Komandor products.